Football Focus pundit Martin Keown believes that the Man Utd players may well need to stop listening to Jose Mourinho in order to salvage something from this season. The Red Devils take on Liverpool at Anfield on Sunday with an eight-point gap to cut to the top four in the Premier League, while they face a staggering 18-point deficit to leaders Man City, who have played one more game. Blighted by inconsistency and poor results throughout the campaign thus far, United appear to be in danger of going through a very difficult year in which they could fall short of their objectives. With that in mind, Keown has launched a scathing and critical assessment of their current plight, and has questioned whether or not the players would be better off not listening to Mourinho given their lack of identity and direction on the pitch anyway. 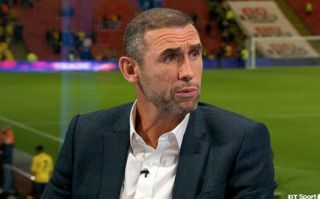 “These performances are some of the worst we’ve seen from United in 25 years,” Keown said, as seen in the video below. “They are there for the taking – these United players almost need to stop listening to their manager now. “If this is how they’re being told to play, the players are on their own – I don’t know the identity of this United team. Mourinho has an incredible job there but the ‘special one’ has become the ‘lonely one’. It’s difficult to imagine that Mourinho is enjoying his reputation coming under attack along with seeing his team fail to match expectations, as it ultimately reflects badly on all concerned. In that regard, Keown has arguably gone a little over the top, and it’s difficult to see how the players not listening to his instructions will help as it will surely just add to the chaos. Nevertheless, he does make some valid points in his argument and given that Mourinho has been in charge for well over two years now, it’s difficult to see a way in which he can find the long-term solutions required.